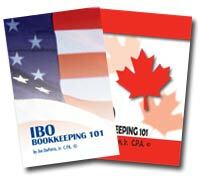 IBO Bookkeeping 101 offers simple yet top-notch advice on how to properly maintain your records while building your business. The IBOAI is committed to protecting and improving the business-building opportunity for all IBOs powered by Amway North America. Read the book below or view it in pdf format (link below). Our responsibility and passion as your representatives on the IBOAI Board are to protect and improve the business-building opportunity for all current and future Independent Business Owners (“IBOs”). As with any person carrying on a trade or business, IBOs should conduct their activity in a businesslike manner in order to receive fair treatment of business income and expense deductions under the Internal Revenue Code. This includes starting out with your own personally defined business plan, budget, and breakeven projections, as well as making periodic adjustments to your business activity to meet your objectives. It also entails the discipline to distinguish with exactness business from personal income and expenses. 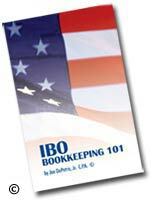 We've made the IBO Bookkeeping 101 guide available for all IBOs in order to share with you what we consider to be simple yet top-notch advice on how to properly maintain your records while building your business. Failure to keep adequate records can be a costly mistake that we hope all IBOs will avoid by following the steps in this guide and, when necessary, consulting a professional tax advisor, preferably a C.P.A., who understands this remarkable business that you've embarked upon. The guide's author, Joe DePetris, is a C.P.A. and professional advisor to the IBOAI Board. He has worked diligently with thousands of IBOs, from those just getting started to those at the Diamond level and above. His efforts have saved IBOs time and money by providing them the tools and knowledge to maintain proper records of their business activity, which satisfy the requirements of the Internal Revenue Service. In this guide, Joe shares with you the same insights he offers to his clients. Note: This guide is prepared as an educational resource for your guidance, and is strictly informational. It does not constitute legal, accounting, or other professional counsel. Nothing included herein implies a recommendation by the author, the IBOAI, or Amway, of any course or method of regulatory compliance. Readers and users who intend to take, or refrain from taking, any action based on information contained herein should first consult with their qualified tax advisor, preferably a C.P.A., or appropriate regulatory authorities. While every effort is made to provide accurate and current information, the forms and reference materials provided here are given for the purpose of explanation only and should not be solely relied upon as the most recent material available. Subsequent changes in the federal tax law, such as Congressional amendments or I.R.S. interpretations, may change some of the material covered. Accordingly, your own qualified tax advisor should be your final authority on these matters.